It has been over one year since I have disabled W3 Total Cache and the problem has not reoccurred, thus leading me to suspect the problem was caused by W3 Total Cache since the problem only occurred when I was using W3 Total Cache. I now suspect the login problem is caused by W3 Total Cache. It has been about 2 months since I disabled it because I kept getting site errors – including login errors. The errors have stopped. My recommendations are: (1) try to login in using the techniques described here, (2) empty your W3 Total Cache caches, (3) disable W3 Total Cache. you have no caching module installed and you still get this problem. This is a real problem because I get a steady stream of hits on this page and, aside from this article, I don’t know of any real solutions to this problem. All other articles seem to be of the “do something (like touching file permissions) and the problem magically goes away” variety. In December 2011, I had trouble logging into my site. I kept getting an Error 404: Not Found message. I documented what I did to resolve that here. In February 2012, it happened again. After waiting 48 hours for the problem to resolve itself – and it didn’t – I began troubleshooting again. Fortunately, I had a few more facts this time around and a lot less panic or worry about having my site having been hacked. I was able, though not consistently, to login by clicking on an action link in the e-mail WordPress sends me to tell me I have a new comment (since I have comment moderation turned on, WordPress e-mails me every time there is a new comment). Even if I was able to login, I was not able to do a lot in the Admin panel (replying to or deleting comments wouldn’t work). I checked the WordPress error logs, there was nothing in them to suggest a problem. I searched the web for solutions. Again, nothing useful came of it – lots of people have experienced this problem, but no useful solutions were offered (and those that were offered were more of the “do something – anything – and the problem will miraculously go away” type. Checking my server logs, I could see 404 pages being delivered when I tried to log in. Nevertheless, the pages in question should exist (and I double checked that they did), so it didn’t make sense that they couldn’t be found. Finally, while studying the WordPress login help page, and double checking everything on the page (even those I didn’t think made sense), I decided to try manually resetting my site’s URL as described in the section Site URL Redirecting. This worked! And it was reproducible – if I changed my URL I was able to login, if I set it back to the original URL I couldn’t login. This was good because a reproducible problem means the solution works – I think. 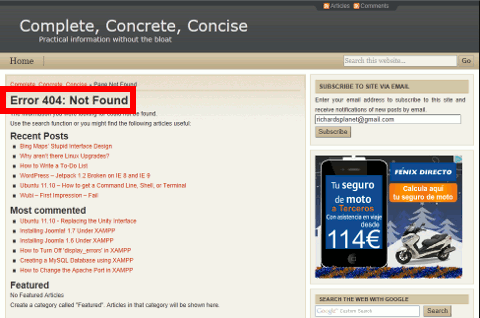 My original site URL was http://complete-concrete-concise.com – notice the lack of the www.prefix. While my site was and continues to be accessible without using www. 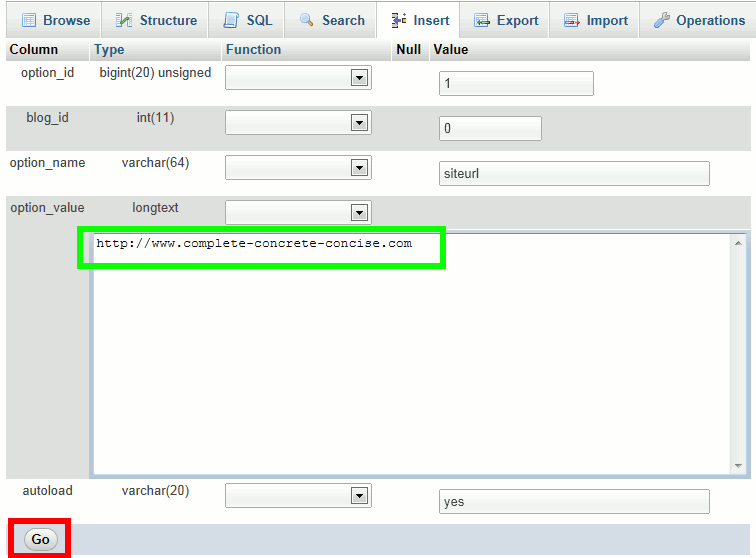 before the name, when I changed it to http://www.complete-concrete-concise.com my login problem went away. And when I removed the www. the login problem came back. What causes this? To be honest, I don’t know. My suspicion is it is a problem with the name server (the name server is a Internet server that looks up the site name and returns its Internet address). From what I can see, my DNS records with CloudFlare are fine, yet, changing my WordPress URL to use the www. prefix solves the issue – at least for now). WARNING!!!! 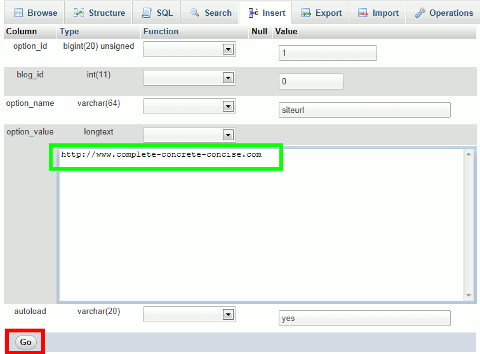 Messing around directly with your MySQL database can result in a completely NON-FUNCTIONING site. 1) Login to your web hosting control panel. 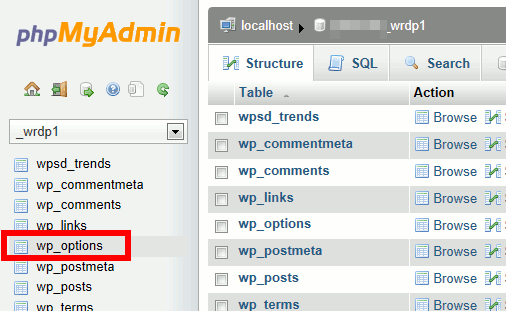 This is not your WordPress admin panel. For many users this will be cPanel, but your webhost my provide you with a different website administration panel. 7) Check that you are able to login in to your website. Caveat: While this worked for me (as did just waiting – see my original post on this problem), I make no guarantee. In looking for a solution to this problem, I see that lots of people have it, but I don’t see solutions to it. Obviously, I would love to get feedback on this. I am still unclear on where the problem lies – is it a web hosting problem? is it a name server problem? is it a WordPress problem? Update 28-Feb-2012: I restored my siteurl to its original value and my site continues to work correctly. I think this supports my original conclusion that patience is the solution – of course, waiting around for a few hours or even several days for it to resolve itself is not an option most would consider acceptable. It also lends weight to the argument that it might be a DNS issue. Update 02-Mar-2012: the error returned. sigh. Changing siteurl to use the www. prefix has, once again, fixed the problem. I know this site offers quality based articles or reviews and additional data, is there any other site which presents these stuff in quality? It really depends what sort of content you are looking for. An excellent resource for freely available developer tools is My Free Country.